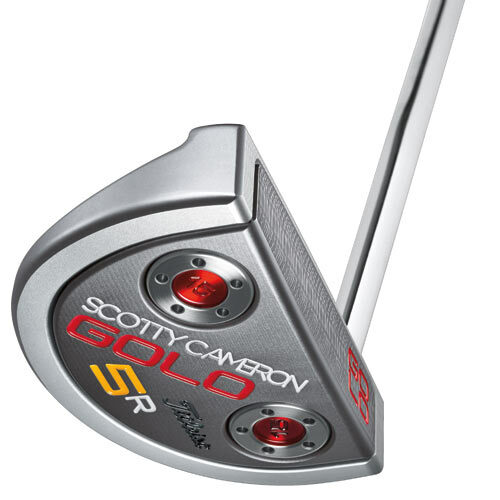 Scotty Cameron GOLO mallet putters are advanced, multi-material designs with a lightweight face-sole core milled from aircraft-grade aluminum surrounded by a solid 303 stainless steel frame. 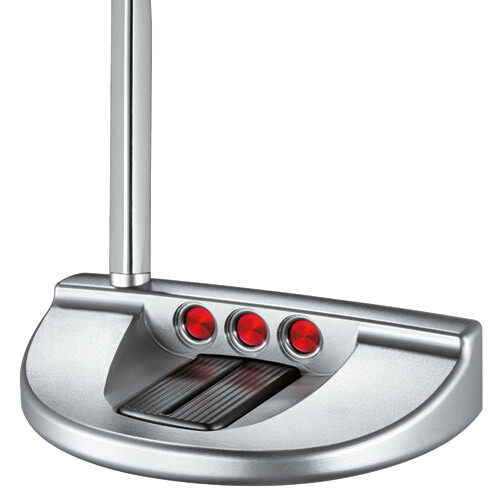 GOLO putters have a full aluminum face that wraps into the sole for a soft, seamless feel. ADVANCED PERIMETER WEIGHTING from the precision milled steel frame integrated with the lightweight aluminum face-sole core produces high MOI and delivers stability throughout the stroke. FORGIVENESS at impact is aided by the 303 stainless steel customizable heel and toe weights integrated into the face-sole core. 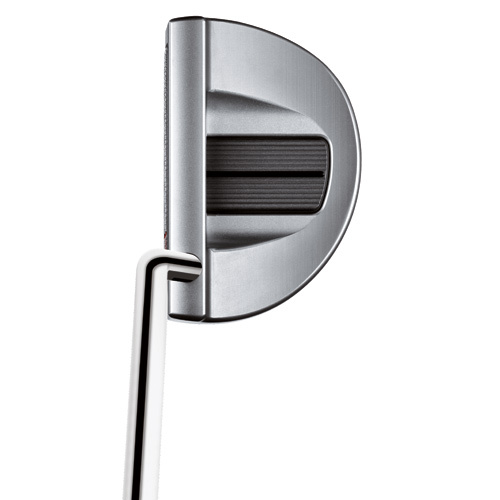 CLEAN SINGLE BEND shaft with 9°forward and 3° inward lean aligns the portion of the shaft below the bend directly down the target line (GOLO 5, 5R and 6). SOFT SOUND AND FEEL is achieved by the seamless integration of the aluminum core and steel frame using internal vibration dampeners in five strategic locations. EASY ALIGNMENTfrom the shaft bend, offset, and contrasting dark anodized face and pop-through flange sightline field.